Communication among the school, teachers, and parents is crucial for student success. QuickSchools has a powerful school notification feature that keeps everyone in touch 24-hours a day. 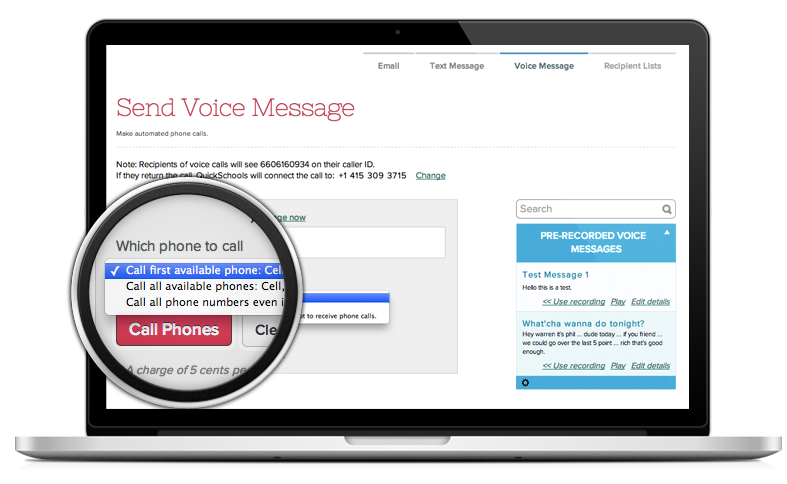 Schools can send emails, text, and voice messages to the entire school or predefined groups of parents, such as the PTA, all at once significantly reducing the amount of time administrators need to make phone calls, talk to parents, and leaving messages. To further streamline parent messaging, save templates of your most frequently used communications, such as announcing a snow day or teacher in-service, so you do not have to repeatedly recreate the same messages. Teachers can also use parent messaging to send messages to the parents of a single student or the whole class again making the communications process very efficient. 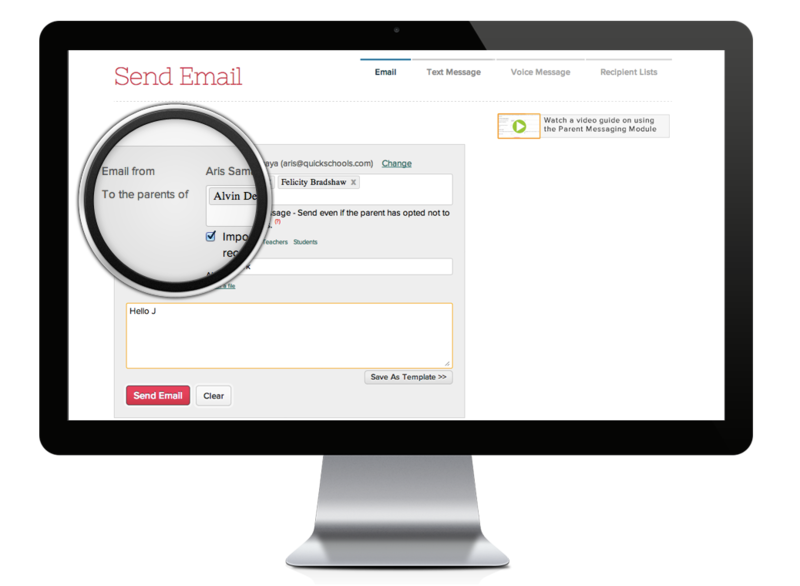 Parents in turn can send private text messages with questions, comments, or concerns to teachers or administrators through the Private Messaging feature in the Parent Portal. When you send frequent communications to a specific group of parents, like the debate team, you can create a recipient list, similar to a contact groups in your email software, which includes those people so that you don’t have to add them each individually to your communications every time you send it out.